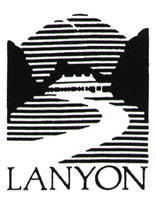 Lanyon is an historic pastoral property nestled in a valley, south of Canberra, on the banks of the Murrumbidgee river. Visitors to the property are first greeted by the sight of grazing livestock and will discover the main house situated amongst a variety of productive and leisure gardens. The main house dates from 1859 and has been restored and furnished to reflect the lifestyle of its past occupants. Nearby farm buildings, some built by convict labour in the 1830s and 1840s tell stories of Lanyon's workers through displays and exhibitions. Tuesday - Sunday and most public holidays 10.00am - 4.00pm. Lanyon is itself a collection of buildings, cultural landscapes and objects which convey a rich understanding of many aspects of 19th and 20th century rural life. Approximately 3000 artefacts; primarily domestic material culture relating to the 1859 interpretation of the homestead but also agricultural machinery and equipment relating to 20th century farming practices.